To drive performance in the learning and development community by connecting the right talent with the right opportunity. Our goal is your success. AXIOM Learning Solutions, LLC is a learning and development services firm that specializes in providing the right talent and resources to fill your organization’s unique training needs. We become an extension of your workforce, allowing you to improve productivity while lowering costs. Since 2014, AXIOM has provided organizations with consistent, professional learning and development resources. When the need arises, we will provide highly qualified learning consultants for training initiatives of any size or scale. Our experienced team will work with you to create, manage, and deliver a learning solution that suits your business. We specialize in custom content development, hands-on training, and both onsite instructor-led training and virtual training for individuals or groups. Led by Herb Blanchard, our management team has over 100 years of combined experience in Human Capital Resource Management and Learning. AXIOM’s global talent pool consists of thousands of learning consultants, and our alliance network of partners are based not only in the United States but in Canada, Europe and Asia as well. Our flexible model and relationship-oriented approach to client service is crucial to becoming a trusted adviser and part of your team. We work with you to understand your needs and craft the right solution for you and your organization. Social Learning: What’s all the Fuss About? Time TBD // Stay Tuned! AXIOM is now a featured blog on the eLearning Learning website. This online community is brought to you by the Training Magazine Network. Long term contract assignment. Looking for Instruction design and development talent. 2 days a week onsite in Rhode Island and other days remote. 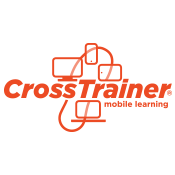 – Develop ILT Courses, user guides, and handouts. 6-12 months in length. – Experience w/ Storyline or Captivate a BIG PLUS as following ILT project is e-learning work. Long term contract for a client in Spartanburg South Carolina. The contract assignment is long term, 1-2 years. Role will be to provide overall management and coordination of all Learning Technology systems and programs (iLearn, hosted by Skillsoft)) and other Learning Technology needs as requested. Education: Bachelor’s Degree in Business or IT preferred. Other Bachelor’s degree is acceptable with demonstrated minimum 5 years business or IT experience. strong SuccessFactors, Cornerstone, or SumTotal administrator experience. Looking for ID’s with engineering experience! Design a new hire on boarding program for engineers and oversee our development team for a completion date of mid December. These are our priority right now, but we welcome any technical trainers with other skills. With more than 20 years’ experience as a business executive, and a proven track record in human capital and resource management, Herb leads AXIOM’s strategic direction by forming and maintaining valuable C-level partnerships. 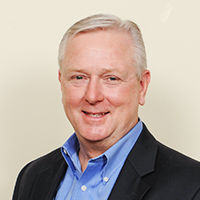 Prior to AXIOM, Herb worked for The Training Associates (TTA) where he provided the vision for the company while guiding the sales & operations organizations and implementing recruiting and project management strategies. This allowed the organization to support enterprise wide project engagements. He redesigned the sales and service strategies and led the company in growing revenue from $7 million to more than $70 million during his 11 year tenure. Herb carried TTA into the global learning market, providing services in more than 50 countries. In 2011, Herb designed one of the largest outsourced learning initiatives in Learning & Development history, a project calling for more than 500 trainers deployed across the United States. 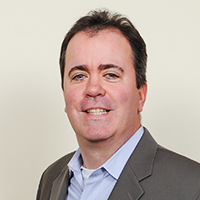 Jason is a senior executive who leads the marketing and sales efforts for AXIOM. He manages the company’s strategic accounts and partnerships and oversees marketing strategy and initiatives. Jason leads continuing efforts to build, elevate, and promote the AXIOM brand. An entrepreneur with more than 20 years business experience, Jason has more than 15 years of experience in human capital and resource management. Since 2009 his focus has been outsourced learning solutions with a strong emphasis in channel partnerships, healthcare, and retail. Jason is the former president and founder of Choice Staffing, a New England based IT staffing company which was sold in 2009. 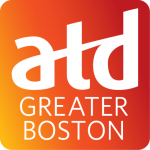 Jason currently sits on the ATD Boston Board of Directors. 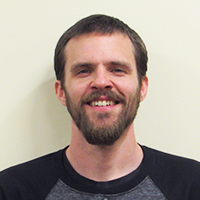 David leads Operations & Finance for AXIOM. 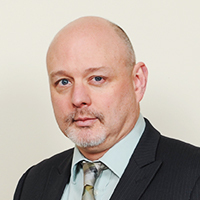 He has 20 years of experience managing, recruiting and delivering training solutions for a wide range of clients of various sizes and industries. David has been an entrepreneurial Learning & Development professional since 1997, when he was part of the management team at Progressive Solutions. 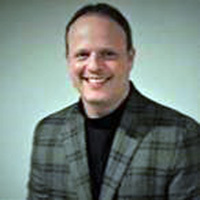 In 2002, Dave co-founded AXIOM Training & Consulting Services. In 2013, AXIOM went from a regional training provider to a national presence by bringing in experienced industry partners who enhanced AXIOM’s services with a larger resource pool. The partnership gave AXIOM the ability to staff long-term training initiatives with subject matter experts, designers, developers and instructors from around the country. 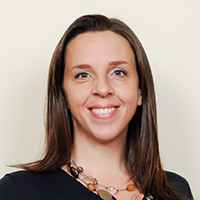 Stacy works with AXIOM’s executive team in managing and creating long-term marketing campaigns and goals. She uses her writing background to drive AXIOM’s social media presence, oversees website maintenance, and blogs about Learning & Development and AXIOM news topics. She works closely with Jason to create and execute client campaigns, and works with external consultants and AXIOM Partners to cultivate brand awareness for AXIOM. Stacy has more than 12 years’ experience in sales and customer management, training logistics and operations and contributes to internal processes, policies, procedures, events, logistics and partner outreach. Stacy came to AXIOM in 2013 from her position as the internal training coordinator at The MathWorks, Inc., where she used AXIOM’s services to train more than 1800 developers world-wide. Peter is responsible for developing and managing high level client accounts at AXIOM. He brings more than 20 years of sales experience from the high technology industry. He has held Senior and National Account Management roles with some of the nation’s leading enterprise IT training vendors supporting both US and international companies. He has worked extensively with global financial institutions, manufacturing, insurance, software development, education and government. His involvement in the IT Training community includes various board positions and extensive volunteerism in organizations that support the development and promotion of the training industry. 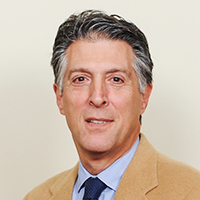 Peter currently is a member of the Board of Directors for ATD Bay Colony (in Rhode Island). Brad oversees AXIOM’s professional services, focusing on global and domestic projects, providing customer strategies and best practices, and enabling globally utilized solutions. 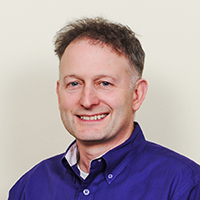 Brad has more than 25 years’ experience in the learning and development industry. Prior to joining AXIOM, Brad served in a management role for The Training Associates (TTA) where he had a major impact on sales enablement, project management, and operations. He piloted and taught the first project management classes for TTA operational personnel. Brad was also the Training Manager at CompUSA for more than 10 years and served most recently as the senior project manager for Versatile Communications where he was an integral member of the Professional Services group. Brad is an active member of the Project Management Institute (PMI) as a Certified Project Manager (PMP). Tammy oversees the recruiting, on-boarding, and talent management efforts for AXIOM. 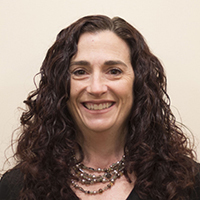 She has a project management and training background from her 14 + years at UMass Medical School and PFPC Global Fund Services. Tammy’s role is streamlining and automating AXIOM’s back office through technology and best practices in regards to overseeing talent management. Tammy strives to provide the most positive experience for consultants and clients and will continue to make sure that you always hear a smile in her voice. 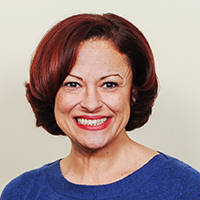 Tina oversees AXIOM’s signature process of custom instructional design to delivery solutions; and leads efforts in our program management, sales enablement, and talent management areas. Prior to joining AXIOM, Tina was with Navis Learning (A BLR Company) where she served as Vice President, Project Management Office and Systems. She is a learning & development executive with more than 20 years of experience in training; from instructional design and development to project management, and facilitation. Her experience spans a multitude of industries and audiences. Tina also has expertise in L&D project management, customizing learning solutions to meet the needs of any client, and people management. She has a proven track record of building strong relationships with all levels of the organization and influencing senior management. Frank will lead the effort and execution of new business growth strategies for AXIOM’s portfolio of training design and development services, L&D consulting services and contract resource staffing solutions. Since 2010, his focus has been outsourced learning solutions with a strong emphasis in channel partnerships, insurance, transportation, technology, and financial services. Frank has more than 10 years’ experience in human capital and resource management and boosts AXIOM’s sales and partnership enablement. Prior to joining AXIOM Frank held senior business development roles at both Navis Learning and The Training Associates. In both roles Frank played an integral role in developing key accounts and partnerships. Tony works in conjunction with Dave Franco in the AXIOM financial department. He handles accounts payable, accounts receivable, on-boarding new trainers, consultants, and employees, and manages a variety of other financial functions. Tony has more than 13 years’ experience working in finance; including 8 years overseeing the beer, wine and liquor accounts at BJ’s Wholesale Club. He most recently spent 5 years managing the invoicing department of a small promotional products company.